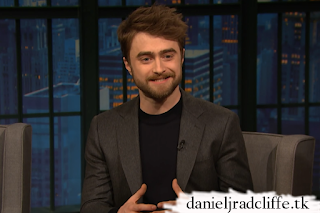 Daniel was a guest on Late Night with Seth Meyers yesterday in promotion of The Lifespan of a Fact. (En voor alle Nederlanders: 'onze' Arjen Lubach was er ook). He also talked about English and American football and more including his fact checking 'job' at The New Yorker. Clips below, the full episode is available at nbc.com. Update: 6th December 2018. Another (behind the scenes) photo. He's Americanizing well, to bad he's just another rich guy.